I have this recurring dream that I’d like to share with you. I’m at the Spike TV Video Game Awards. Tila Tequila and Samuel L. Jackson just gave the “Best QTE” award to another Battlefield game for killing a terrorist by pressing circle. The announcer calls up Paul Rudd to present the “Greatest Change in a Franchise” award, which goes to Assassin’s Creed 4! Then I step up to the podium to accept it. “Ladies and gentlemen, thank you for this opportunity. When I wrote angry, fanboy reviews of how the Assassin’s Creed franchise had declined in its recent iterations, I never thought my proffered changes would ever be integrated. But here I am! And in a few minutes when I go backstage, I’m going to ask Sam Jackson if he really likes where his career trajectory has gone. Capital One commercials? Am I right?” The audience laughs. I’m killing it. 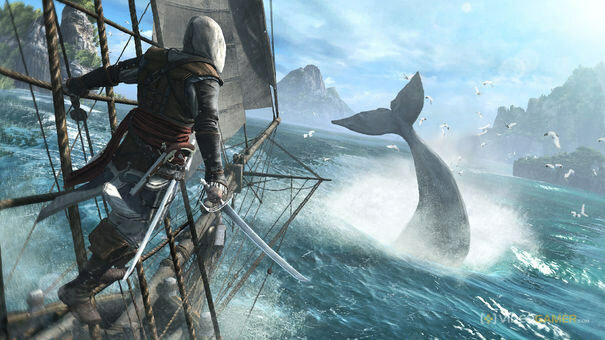 That dream goes on for a while, so I’ll get to the main points – but suffice it to say that Assassin’s Creed 4 is the best AC in a long time; even with its glaring flaws that, after 6 years, still remain. And I accept all the credit for writing reviews that allowed its improvement. So in the AC universe, Desmond Miles is dead and Abstergo has opened an entertainment division to make video games based on historical figures. This whole meta-story happens in a first person job simulator, where you’re the new guy working at AE. Again, this silly framing device is about as fun as it sounds. Answer emails, listen to office chatter, deliver a package. While it attempts to bring in the whole templar/assassin conspiracy to a new character, it’s all quite dull. We’ve been slogging through these boring present-day parts for years, I really just wish whoever kept shoehorning these in to the franchise would get fired already. Seriously, how many times in video games do we take instructions from disembodied voices on penalty of “something bad happening?” If this were something that happened regularly, it would be addressed in every single futuristic company’s welcome video. I don’t want to be some office drone with an iPad, I want to be a pirate! Sail the seas, pillage, all that stuff! Which the game gets fantastically right. Open-world piracy in the Carribbean is incredibly well-done here. 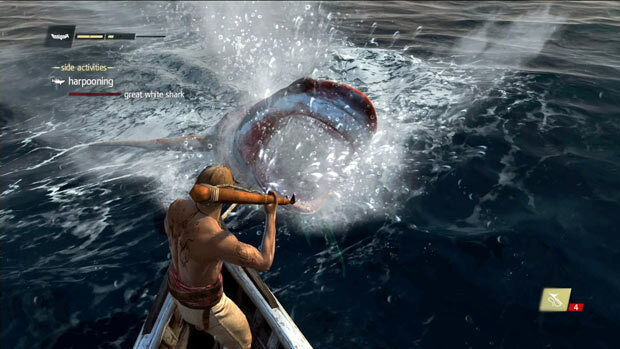 As the boat parts were the best thing about AC3, the general concensus was that AC4 would feature more of it – which it does in spades. Steer your boat, capture other boats, run blockades, engage in naval battles. It reminds me of Sid Meier’s Pirates! from 2004, but with more sword fights and less dancing. The sailing is completely factually wrong, but the flat out ignoring of physics is needed to create a more fun environment. And fun it is. The act of hunting down and plundering enemy boats is so great that you can basically ignore the idiotic storyline until you need to unlock more areas. Exploration of the wilderness is incredibly better, as well. Instead of a giant snowy woods area, the zones are broken up into bite-sized islands with a simple, short list of things to discover. And while most of these can be cleared out in just a few minutes, the larger ones sometimes have neat hidden treasures on them. Treasure – something every pirate wants – is a fun side diversion as well. Finding the big hauls is a multi-stage affair that requires a map, location scouting, and then usually a little bit of the sneakiness. Crafting has improved decidedly as well. What AC3 did wrong was to make crafting such a chore. It required babysitting, resource gathering, and levelling up a town of boring morons. 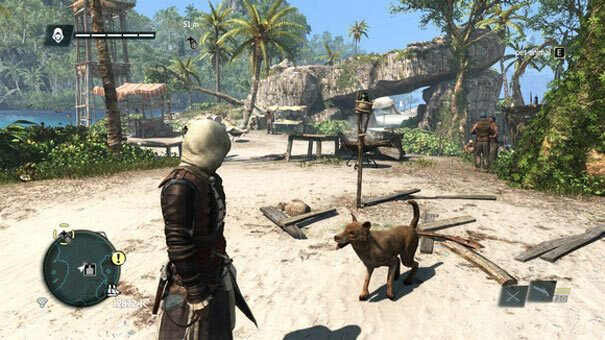 AC4, however, takes something I mentioned from Far Cry 3 and runs with it. A few animal parts and bam! new outfit. Too much hunting? Just buy the parts! The weapons have been streamlined too – it’s great to see that I only have a few sets of swords and guns, instead of the scores of goofy, redundant, unneccessary weapons from Revelations. Other side missions include helping out fellow Assassin’s Order members, punching drunks, hunting sharks, and then picking up the various stupid collectibles. Although even here, AC4 has a great surprise. While collectibles are, by and large, a dumb timesink so marketing can put “60+ hours of gameplay!” on the box, AC4 has, arguably, the world’s greatest collectible: sea shanties. Pick one of these song sheets up, and your crew has a new song to sing while sailing! Nuclear waste in GTAV has nothing on a bunch of pirates shouting “What would you do with a drunken sailor” while coasting through the Carribbean. Optional “boss” fights are a tough challenge (which is a weird thing to say about an Assassin’s Creed game), so upgrade your boat with the finest cannons and armor. This stuff can generally be bought with this treasure you’ve acquired, but some requires schematics that need to be tracked down. GameGravy’s Florida office has the benefit of beautiful weather and close proximity to the Carribbean, where this game is set. So the “look and feel” was up for particular scrutiny. And boy, they did a good job this time. Gone are awful seasonal changes and the drab grey and white of winter in New England. Here, we get vibrant blues of the water and greens of the palm trees. As I mentioned in AC3, the water physics are great, albeit unrealistic, but who cares when it looks that pretty. Some of the more well-known pirates are easily recognizable if you’re up on your pirateology, and although the storyline takes some liberties with intentions and genders, the characterizations are generally good enough. The storyline itself, however, is godawful. Be prepared to do the same stupid tasks as the past few games, which includes sneaking while listening to people, sneaking in a boat while listening to people, and getting desynchronized when the stealth detection thing screws up (it will, trust me). Save the very first Assassin’s Creed, the story of these games are always dumb, so just blaze through these missions as fast as you can and get back to some real piratey stuff. 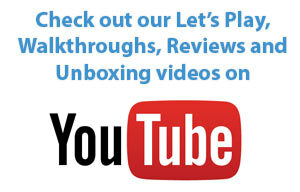 Multiplayer makes its microtransactional return, although it has actually been improved otherwise. Point values have been gerrymandered a bit to make stealth the more lucrative option, so it’s not all just rooftop running now. The level caps have been changed a bit too, so it’s easier to advance. And the addition of a co-op mode – The WolfPack – is neat. Track down AI enemies with friends! Something the previous games could’ve done well to add. Although the game can get a little “pay-to-win,” the wolfpack mode and the other improvements mean that you may actually be able to hold your own against the credit card-wielding masses. My Assassin’s Creed reviews always run a bit long, so I’ll wrap this up. 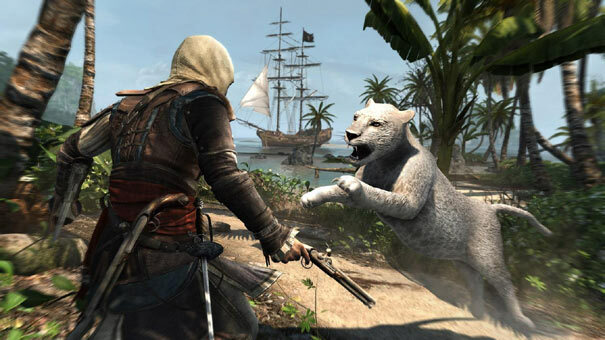 Minor story and realism gripes aside (THERE ARE NO MANGROVES IN SOUTH CAROLINA), Assassin’s Creed 4: Black Flag is the best entry in the series since AC2. Although the game takes its dumb story way too seriously and the present day stuff is as awful as ever, the pirate stuff is so great that it offsets nearly all the negatives. Get this game and listen to some sea shanties.